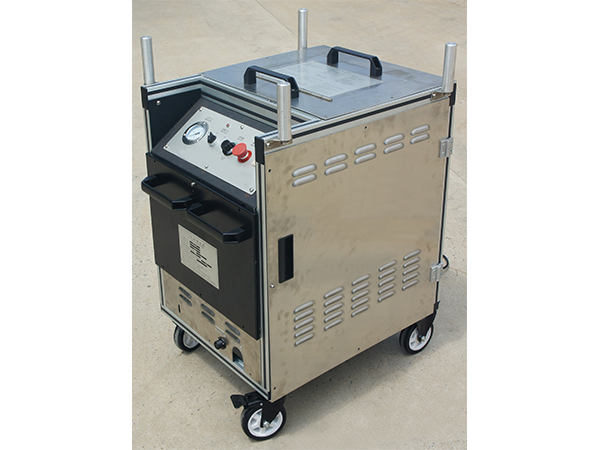 Dry ice cleaning is firstly applied to clean grease by the navy, but now it is widely adopted by many industries. 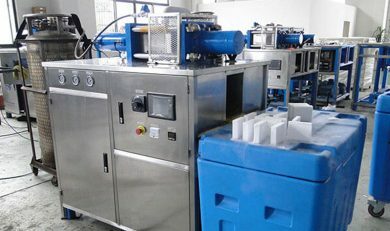 The working principle of dry ice blast cleaning machine is similar to that of steel grit blasting, plastic sand blasting, as well as soda blasting machines. In dry ice cleaning, the dry ice pellets are accelerated in high pressure air flow, and then ejected to blast the surface to be cleaned. The particle vaporizes and the momentum disappears instantly upon the blast. An agile heat exchange happens between dry ice particles and the surface, resulting in the gasification of solid CO2. 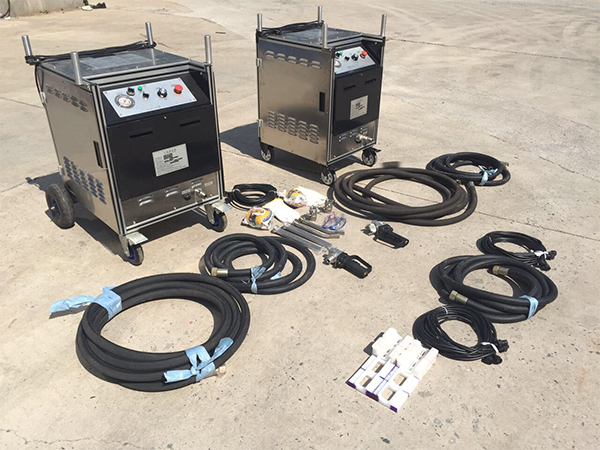 We provide single-pipe (for heavily dirty areas) and double-pipe dry ice blasting machines. They are highly efficient, energy-saving and eco-friendly. They save your money, time, and efforts. 1. in automotive industry – to clean carbon deposits inside the engine, mold, as well as wax and polyurethane residue on the car seat tooling. 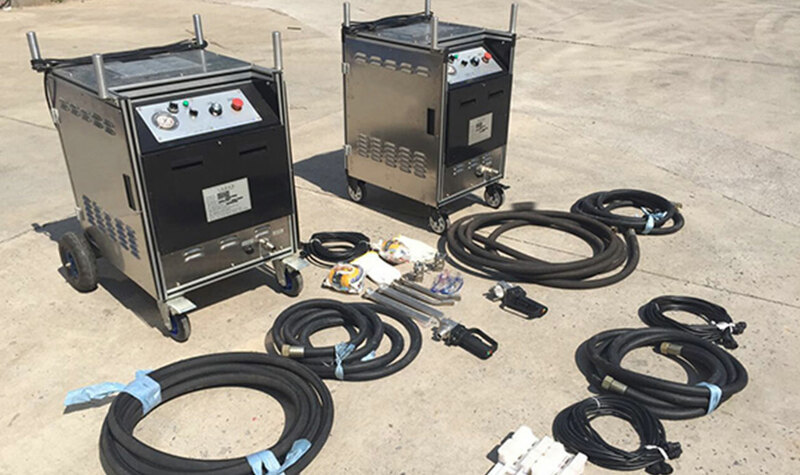 2. in tyre industry – to clean tyre mold. 3. in power industry – to clean generator housings, fan blades and power distribution systems, as well as the surface of stators and rotors. 4. in food industry – to clean carbon deposits on conveyer belts, furnaces, baking trays, rollers, and other transport devices. 5. in printing industry – to clean ink and fuel deposits on gears, guides and nozzle. 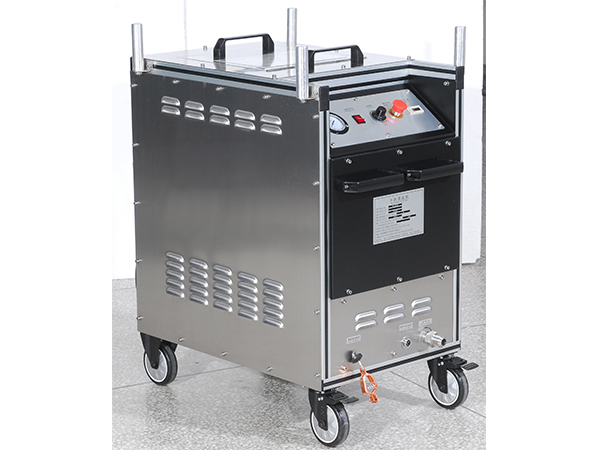 If you need to buy a dry ice blast cleaning machine, please provide the information about cleaning site and supply voltage. With gas pressure regulator and filter system. Removable sieve for timely removal of foreign items.